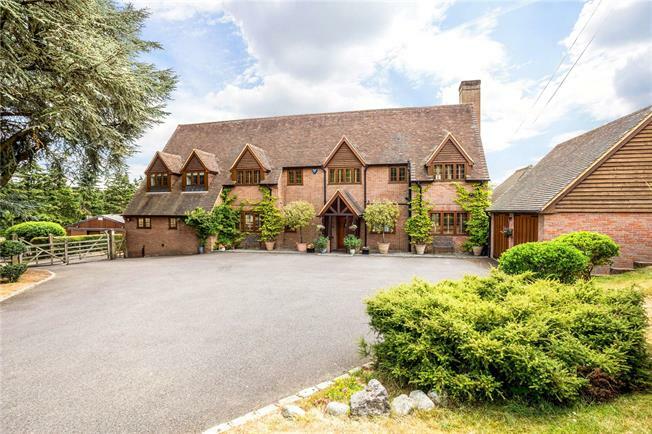 6 Bedroom Detached House For Sale in Gerrards Cross for Price on Application. EQUESTRIAN - Much improved & extended in recent years this country house provides well laid out accommodation on 3 floors. Open views to the rear. Outdoor School. Bank for teaching cross country. Circa 12 Large Stables. Tack room and groom accommodation. Walker. Full size menage. Jumping arena. Circa 18 acres. Situated in the greenbelt less than 2 miles from Gerrards Cross centre which provides excellent day to day shopping facilities including Waitrose, M&S Food Hall, Tesco & Sainsburys Local, Chiltern Line rail link to London Marylebone (fast services 18 minutes), community library, Everyman cinema, hotels and a variety of restaurants. The lovely wooded and green recreational spaces of East and West Commons are only a few hundred yards away. The national motorway network is accessed via the A40 at Junction 1 M40 (Denham) also linking to Heathrow and Gatwick airports. South Buckinghamshire is renowned for its excellent range of schooling both state and independent - further information can be sourced via www.buckscc.gov.uk, www.southbucks.gov.uk, www.ofsted.gov.uk or www.schools-search.co.uk (using the Postcode SL9 8).